Over 25,000 Internally Displaced Persons (IDPs) in Bama, Borno State, including 15,000 children are now accessing humanitarian assistance from the United Nations Children Fund (UNICEF), reports ITRealms. The assistance, which commenced since March 2016, according to Chief of Communication at UNICEF Nigeria, Doune Porter, saw to the partnership on ground, which has been working in Bama since then, primarily in the IDP camp in the town that houses approximately 25,000 people who have been displaced by the conflict, among which are 15,000 children. 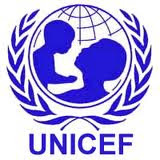 UNICEF, Porter also said, have provided health and nutrition support for approximately 19,000 people and since May, the UN arm and the Borno State Primary Health Care Development Agency have had a permanent primary health care presence in Bama. “We are seeing an average of 140 outpatients a day; providing treatment primarily for malaria, respiratory infections and diarrhoea; screening for malnutrition and treating severely malnourished children, as well as providing Vitamin A, micronutrient supplements and deworming tablets,” she said. Based on the most recent data available, she said the team on the ground has discovered that they do not have regular means of communication, show that during the period 3 April – 31 May 2016, 323 children were admitted for treatment for Severe Acute Malnutrition – an average of 6 new cases per day. Additionally, we have repaired and upgraded five boreholes in Bama, providing 10-12 litres of water per day per person in the IDP camp. In the following days, construction work is due to begin on 150 latrines. We have also identified three thousand children who have become separated from their families and have started to register children with the aim of trying to trace their families.